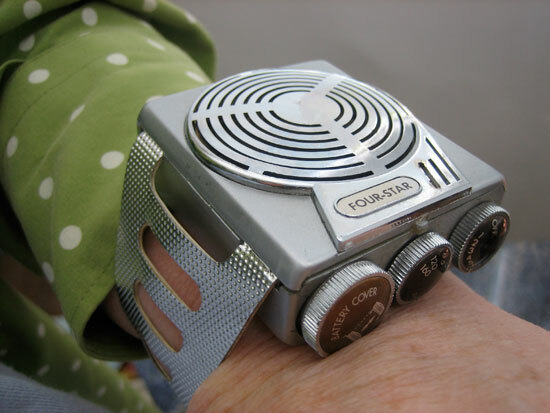 … with an elastic underware cuff. But no bath towel. You would think the text on the back of the package might explain the mystery of the “bath towel”….Perhaps…if you’re the kind of person who enjoys walking around endlessly in a maze. 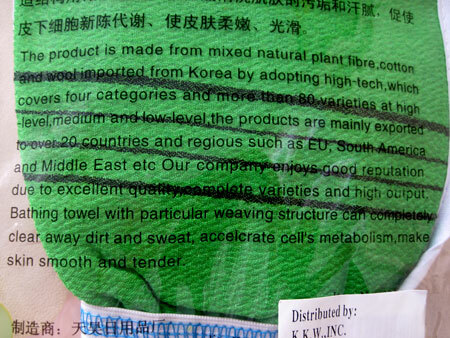 The product is made from mixed natural plant fiber,cotton and wool imported from Korea by adopting high–tech, which covers four categories and more then 80 varieties at high-level,medium and low-level,the products are mainly exported to over 20 countries and regious such as EU, South America and the Middle East etc Our company enjoys good reputation due to excellent quality complete varieties and high output. 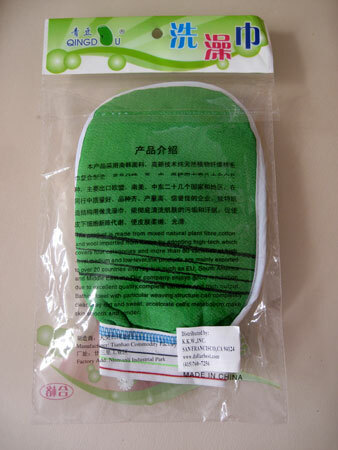 Bathing towel with particular weaving structure can completely clear away dirt and sweat, accelcrate cells metabolism,make skin smooth and tender. I, for one, am looking forward to accelcrating in the regious I’m living in. 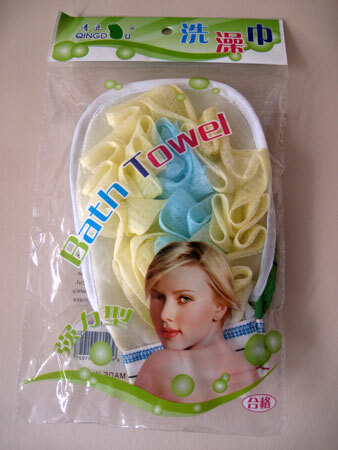 And if anyone knows how to say “Loofah” in Chinese, please tell the Tianho Commodity Factory of China that’s what this thing is. I love the blue geyser spewing out of Scarlett Johansson’s head. 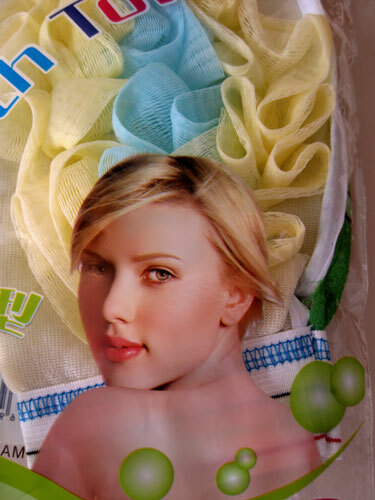 I hope everyone who purchased a “Bath Towel” enjoys rubbing themselves down with Scarlett and I hope Scarlett at least got a free case of them. Next week I’m going back to my home town, Detroit, to conduct my high school marching band playing a medley of my greatest hits in the lobby of the theater I grew up in before a performance of my musical, The Color Purple, with the cast leading a sing-along. It’s a fundraiser to buy new uniforms for the Mumford marching band because with over 40 kids in the band, some of them are still marching around in threads from when I were there. Although I never made marching band as I never learned to play an instrument. I never learned how to read music either which should make my conducting this event most interesting to say the least! 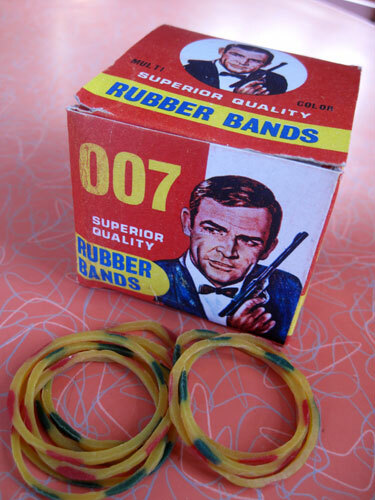 No mention of James Bond, no mention of Sean Connery, no mention of anything other than the fact that these are 007 Superior Quality Rubber Bands. All of which means the only thing secret agent about this is the bootleg nature of the product. Nothing makes a face look more beautiful than when it’s portrayed in gravel. 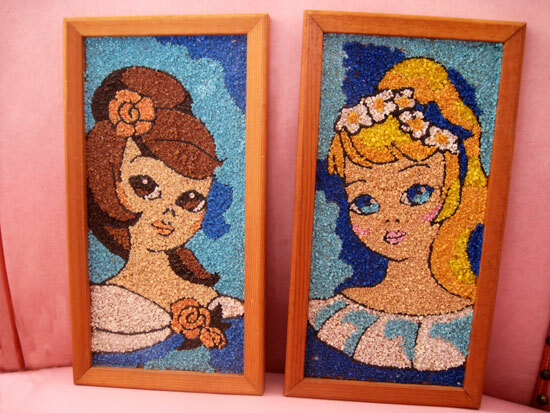 Gravel art, or more professionally known as Crushed Marble Mosaic art, was massive in the 1950′s and 60′s. A cousin of the most popular DIY artform, paint-by-number paintings, hand-glued crushed marble mosaic art covered post Atomic Age walls as thick as shag carpeting smothered the floors. The most ubiquitous gravel paintings were made by the big dog of DIY kits, Craftmaster. 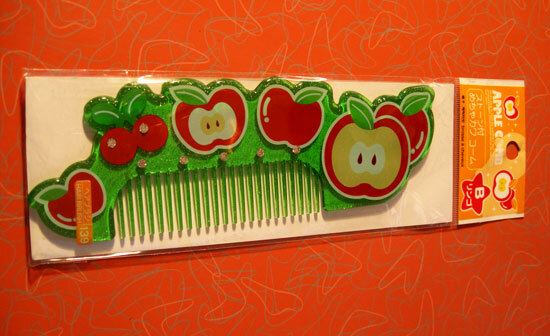 As much as I look forward to rolling out of bed every morning and choosing a fresh, new and wonderful artifact of kitsch to present, today is an absolutely torturous day in terms of what I have to accomplish. 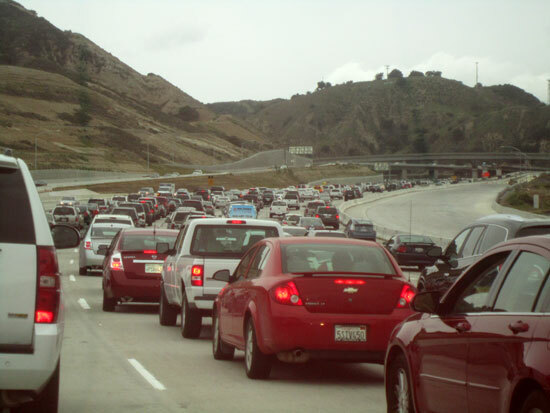 First of all, I’m driving back to LA from Monterey. It’s supposed to rain like cats and very large dogs most of the way back so I have to get an early start. 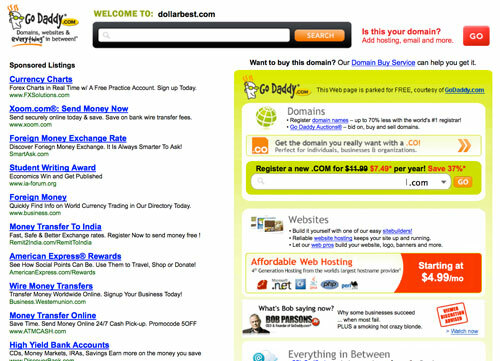 Also, I have to write tons of the kind of stuff I hate to write because I’ve got to unleash a whole Facebook campaign on a death-defying event I’m attempting to pull off in 2 1/2 weeks in Detroit when I conduct my high school band in the theater I grew up in playing a medley of my greatest hits before a performance of my musical, The Color Purple, with the cast singing along. This should sound like a manageable event, but just imagine the sound of a marching band playing in the four-story high/almost block long lobby of a theater built in 1930 of solid concrete and marble, the acoustical nightmare of which has just dawned on me: What’s the point of having a sing-along if all you can hear is a bevy of brass drilling through your your eardrums? 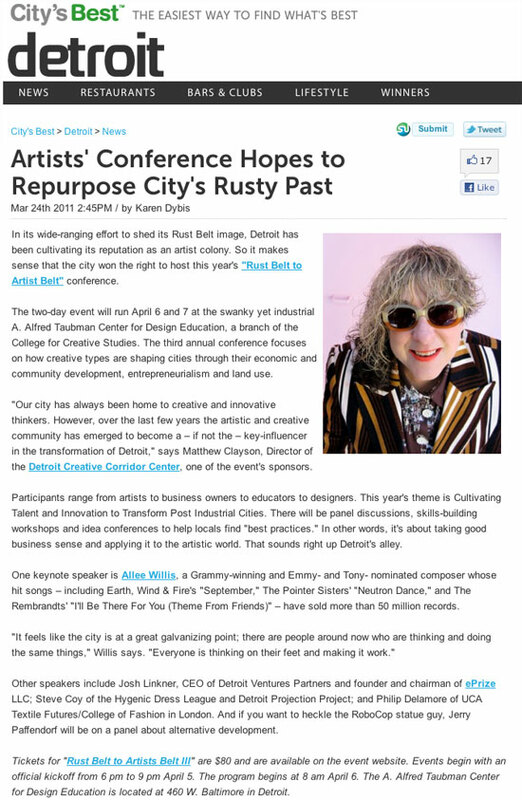 Allee Willis’ Kitsch O’ The Day – “Why Yes Fly Me”… On My Way To SXSW! This 18 inch tall plaster stewardess is a stone cold vestige of the late 1960′s spirit of flying, when both planes and the people that manned them became more then silver tubes and dark blue head-to-toe wardrobe, finally giving passengers something to look at both inside and out of the plane.